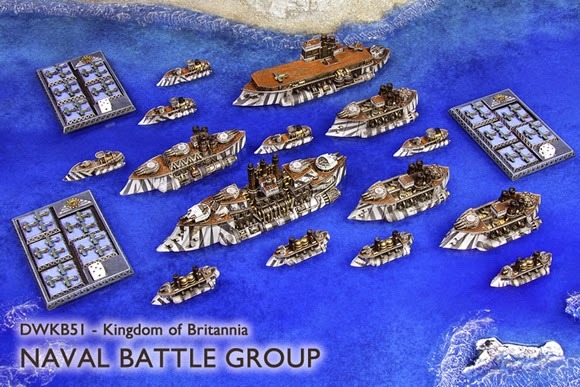 "It is the 1870′s, and war rages between the world’s great powers on a scale never before seen! 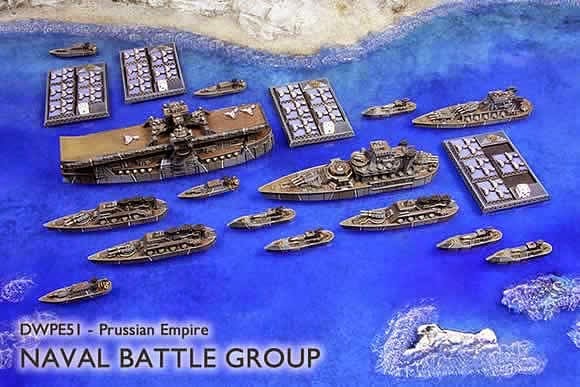 At sea, mighty Battle Groups clash; lines of giant smoke-belching Dreadnoughts and Battleships hammer one another in mortal combat, supported by flotillas of smaller craft. Between the thunderous engagements of massed war fleets are dozens, if not hundreds, of lesser skirmishes. From the war lashed North Sea to the most remote of backwater trade routes, roving packs of cruisers, Destroyers and Submarines hunt down the merchant shipping of the enemy." 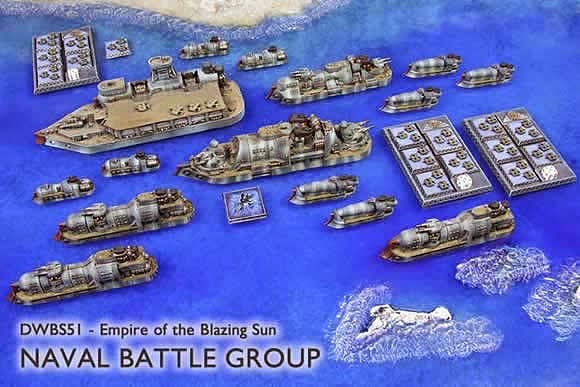 Dystopian Wars is a predominantly a naval battle game though it is also land and air set in a steampunk world where world war has broken out at an earlier time. it takes some wide historical facts and mashes it well into the games back story. 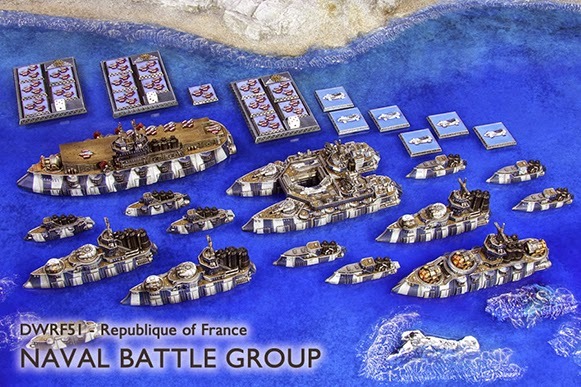 The game feature seven major forces and a number of secondary nations allied with the major forces. the game uses d6 where all rolls are made and 4+ is a success and a 6 is two succeses and can be rolled again for potentially more. there is a newer version of the rules which i have not played but the standard system works as mentioned. movement is in inches based off the movement value (MV) and most ships unless at a full stop have to move 2 inches in a straight line before turning which depending on your vessel size uses multiple turning templates. Boarding ships can be done using the Assault points (AP) on your ships versus another ship but they have a chance of weakening the attack with anti air. 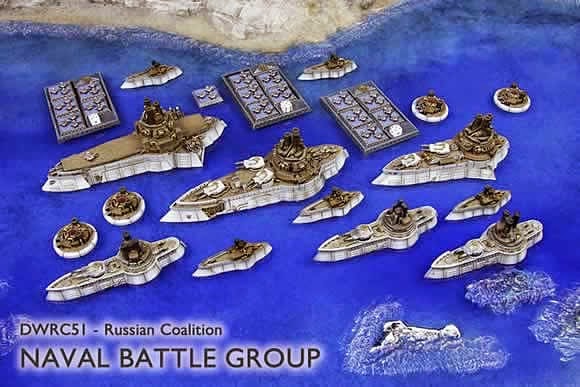 For large scale land battles Armoured Clash is the companies specific game around that in the same universe. 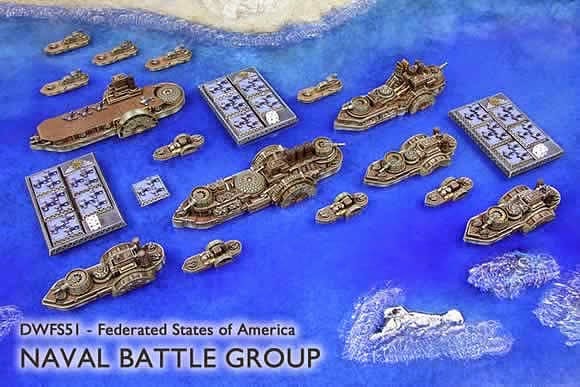 The Core Nations and their fleets taken from the Spartan Games page for more info visit the link above. 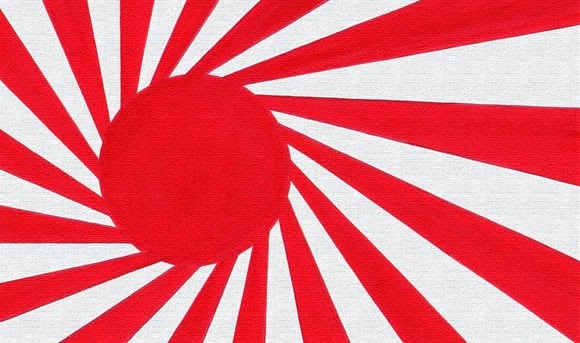 The rise of the Empire of the Blazing Sun took the other major powers totally by surprise. In less than a century it has developed from an insular, almost medieval society into a major world power, with aspirations of imperial rule from the Yellow Sea to the Malay Peninsula, and further still, far across the Pacific Ocean. Starting from scratch in terms of an industrial and technological revolution has proven to be a boon to the Japanese, for they have been able to avoid many of the pitfalls and dead ends that other nations made before them, and have benefitted from observing and duplicating the best of foreign technologies. The FSA has come a long way since its founders and their ramshackle but fiercely resolute armies forced the British Empire to relinquish its rule over their small collection of colonies on the eastern coast of North America. 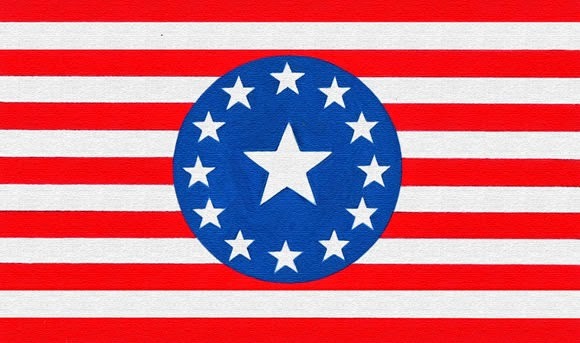 In its brief life, the country now known as the Federated States of America has witnessed all manner of events that normally take other countries centuries to experience. From a union of colonies it has become an empire; it has been invaded and has waged wars of conquest. It has seen political and moral arguments by the score. Most recently, it has been near-torn apart by a terrible civil war, but rose phoenix-like, to take its place at the table of the world’s great powers. Relatively isolated from the troubles of the wider world by great oceans and continental wilderness, the FSA is only now beginning to play an active role in international affairs. But such is its size, population and sheer vigorous energy that it’s awakening will shake the established pillars of the world. For, as President Adams said when he addressed Congress after the second New Federalist election victory in 1868, there is one simple truth that the other powers will quickly learn – “the FSA is here to stay”. 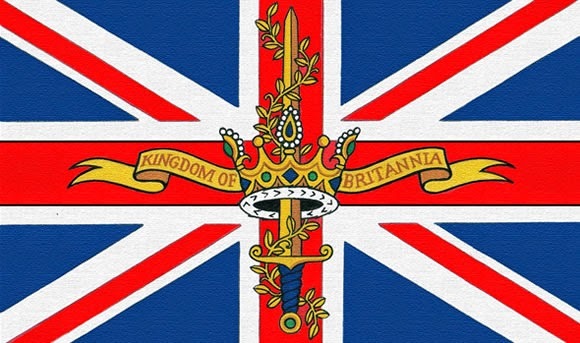 If any single nation can be said to have ushered in the modern age, then the Kingdom of Britannia is surely it. It was here, in the mid-seventeenth century that the first modern industrialisation began; spurred on, as with so many other advances, by the throes of a war. It was here, also, that ships were first built of iron, that the steam engine was first perfected; that the railway was pioneered. Almost every technological advance that the world now takes for granted has its root somewhere in Britannia’s recent history. 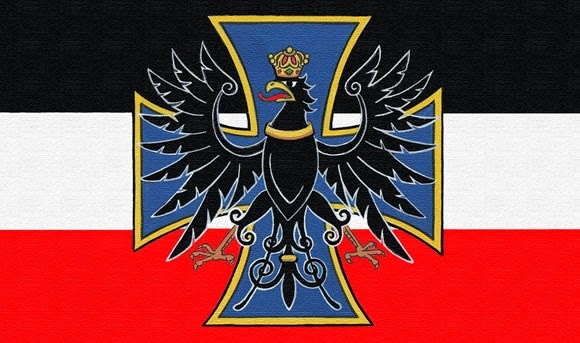 Since the turn of the century, the mighty Prussian Empire has been the dominant military and economic power of Central and Western Europe. 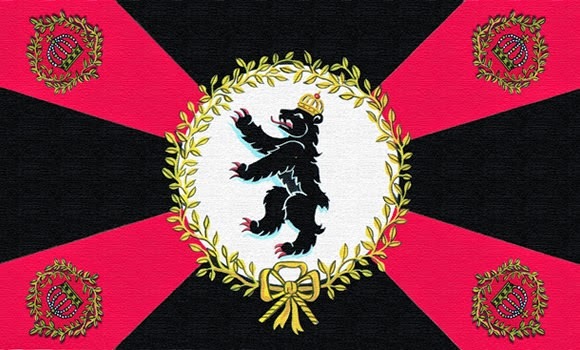 Constructed over the course of the course of the Eighteenth century with a combination of patience, diplomacy and when necessary, calculated aggression, Prussia rose from a minor kingdom within a confederation of petty states to the major force it is now. The empire leads the world in engineering and scientific research, and its industrial might is a match for even its greatest rivals. The enigmatic Covenant of Antarctica is the world’s youngest and most unorthodox nation. 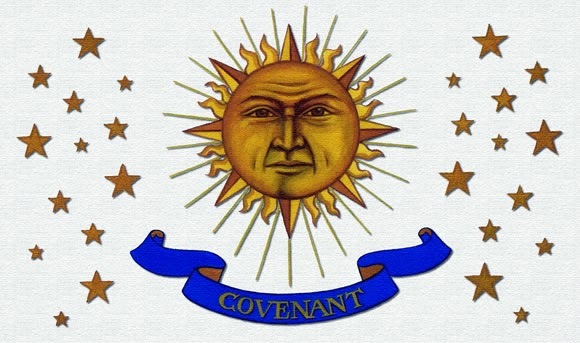 Officially established in 1857 by its founder, the eccentric Britannian scientist-aristocrat Lord Barnabas Draynes Sturgeon, the Covenant has caused seismic shifts in global politics and scientific advancement in the few short years of its existence. 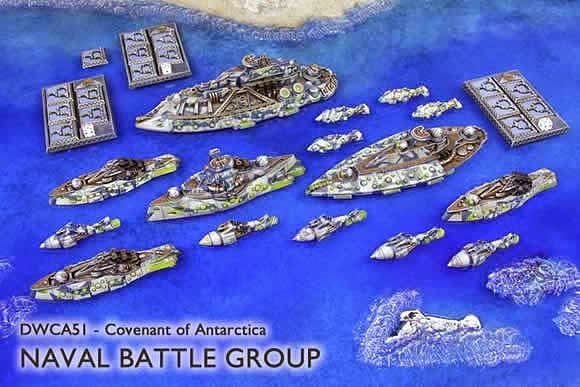 The source of the Covenant’s influence is the mysterious Wells Chasm, a cluster of huge crevasses in the Antarctican icecap discovered by Sturgeon and his original multi-national expedition back in 1845. Within the chasm, named after the pilot of the scouting aeroplane from which Sturgeon had first seen the weirdly glowing anomaly, was something the majority of scientists thought was just a myth; a vast treasure house of extraordinary artefacts and knowledge known simply as ‘The Vault’. The Russian Coalition is without doubt one of the greatest powers on earth. Its ruler, Tsar Vladimir I Nikolaievich Rurik-Novy, commands the people, wealth and resources of over a sixth of the world’s entire landmass. And yet, still it is not enough for him. Long regarded as insular, backwards and obsessed with mysticism, the Coalition under Vladimir’s rule has burst onto the world stage in spectacular fashion. Every one of the Coalition’s neighbours have been affected by its new spirit of expansionism, and while the Tsar’s ambitions are a long way from being fulfilled, many believe that ultimately the motion of this global juggernaut can at best only be delayed rather than stopped outright. 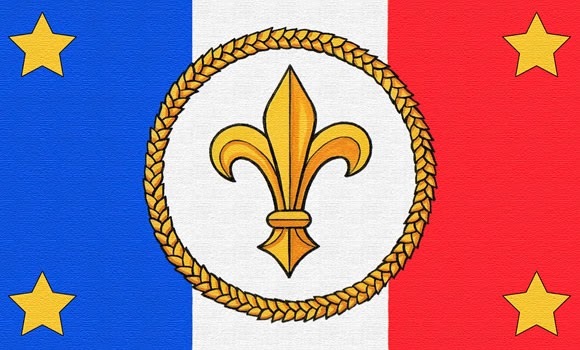 The Republique of France is a nation scarred and debilitated by its experiences over the past seventy years. 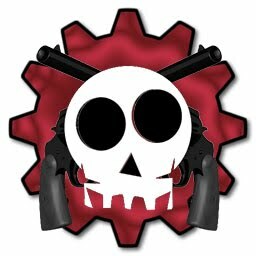 It has seen war and revolution, monarchy and republic. It has held an empire and has been fought over as a prize. At the height of its power under the legendary Napoleon Bonaparte, it sought to challenge the great Prussian Empire for dominance of Europe, and at its nadir it found itself unable to even defend its own borders, and suffered the ignominy of having some of its richest provinces laid waste during battles between the foreign powers that sought to govern its very destiny. If you have any questions please ask but this is a great little game with a really cheap start up but lots of depth.